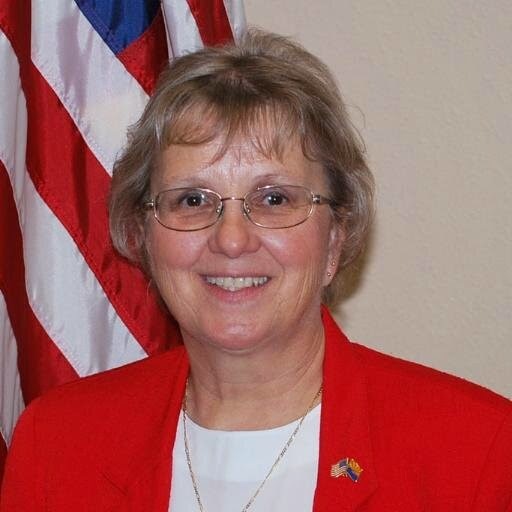 Diane Douglas, a little-known, outspoken opponent of Common Core who ran for Arizona Superintendent of Schools on that issue, surprised everyone this fall when she won. Incredibly, only five days after the election – the day it was announced she had won – a couple of opponents launched a recall effort against her. They formed a political committee and started a Facebook page, which has almost 10,000 likes already. The premature recall is even more ill-timed considering teachers are now turning against Common Core. A recent poll found that support from teachers dropped from 76 percent in 2013 to only 46 percent in 2014 – lower than the general population’s support. In fact, 60 to 65 percent of teachers are either “frustrated” or “worried” by Common Core. Public opposition has increased from 12 percent to 40 percent. Douglas describes Common Core as “controlled by federal bureaucrats in Washington, D.C., or ivory-tower academics or quite frankly people who just want to make a dollar off our poor children.” Instead, she says as schools superintendent she intends to listen to parents and teachers. Anthony Espinoza, the 25-year-old organizer behind the recall, told 3TV, “I believe that she’s unqualified to lead the state schools because the way she ran her campaign was behind closed doors. She refused to talk to media, she ran on one issue which was to repeal Common Core.” In Arizona, where the media is controlled by the left, it is not unusual for conservative candidates to refuse to speak to the media, instead going straight to the people to deliver their message. Most of the comments on the recall’s Facebook page are nothing more than cheap shots at Douglas’s intelligence and experience. I attended conservative political meetings with Douglas for years, where she frequently gave speeches, and was nothing less than impressed with her knowledge, intelligence and competency. One commenter wrote, “She doesn’t know how to speak properly!! She’s a complete moron!! !” Clearly, they never have actually bothered to listen to her speak. WOO HOO! Good for this lady to speak out on Communist Core - This curriculum has a political bent to it and the propaganda embedded in the curriculum would make a Marxist cringe. A ten year old address a school board in her home town about Common core. See if the example she cites makes sense to you - it doesn't to me. “One of the essay questions was identify a theme in ‘Just Like Home’ and a theme in ‘Life Doesn’t Frighten Me.’ Write an essay that explains how the theme of the story is shown through the characters and how the theme of the poem is shown through the speaker. Include specific details from the story and the poem to support your essay. The commands of government officials must be obeyed by all times. The wants of an individual are less important than the well being of the state. And look at this math problem - Ben helps his dad make chicken soup. Their recipe makes 15 cups of soup. If they each eat two cups of soup, and they freeze the rest, will the remainder of the soup fit into a 64 ounce container? The answer as given is this: 15c-4c=9c 9X 8=72, no it won't fit. Note the typo in the first sentence on Houghton Mifflin's website: "empower your all of your students." Many of the homework assignments have NO directions printed on them. For example, children in kindergarten are supposed to pick the right answer to what is meant by TWO or the number 2 but you don't know that as there are NO directions for them to follow! How are they supposed to know what to do? GUESS? Parents are Not supposed to help children - why not? Why weren't parents included in the review committee? Why were academics with ties to testing companies the ones selected to write the curriculum rather than actual K-12 teachers and administrators? There are so many problems with the curriculum in design, content and implementation that it should be dumped in the garbage. I hope this NEW superintendent does so. Diane Douglas is absolutely correct in dumping Common Core or Communist Core. It is propaganda filled, written to "glorify" a government and is intended ONLY to make money for Bill Gates - a huge obama financial supporter, who will get the contract to develop curriculum, correct the information and grade the tests. Also, the companies who write it and who will "correct" the tests are acting in conflict. If you don't spout back the "correct" answer, you will be wrong even if you are right or disagree with the test. Here are examples of what is IN the curriculum - you tell me if you want your child learning this information and dealing with this in school? For example - here are sentences from one noun worksheet: See the propaganda and government thinking? Do I think Diane is correct in dumping Common core - you betcha!